(WIRED) -- The iPad was supposed to change the face of computing, to be a completely new form of digital experience. But what Steve Jobs showed us yesterday was in fact little more than a giant iPhone. A giant iPhone that doesn't even make calls. Many were expecting cameras, kickstands and some crazy new form of text input. The iPad, though, is better defined by what isn't there. Many people will bemoan the lack of Flash in the iPad. It wasn't mentioned, but eagle-eyed viewers would have seen the missing plugin icon on the New York Times site during yesterday's demo, and given that Apple clearly hates Flash as both a non-open web "standard" and as a buggy, CPU-hungry piece of code, it's unlikely it will ever be added, unless Apple decides it wants to cut the battery life down to two hours. Who needs Flash, anyway? YouTube and Vimeo have both switched to H.264 for video streaming (in Chrome and Safari, at least -- Firefox doesn't support it), and the rest of the world of Flash is painful to use. 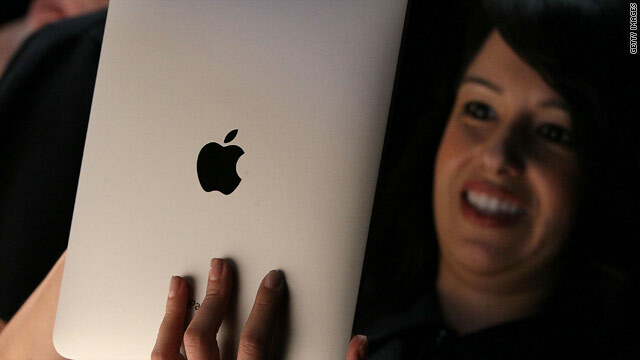 In fact, we think the lack of Flash in the iPad will be the thing that finally kills Flash itself. If the iPad is as popular as the iPhone and iPod Touch, Flash-capable browsers will eventually be in the minority. One of the biggest rumors said that there would be two iPads, one with an OLED screen and one without. But as our own Apple-master Brian X Chen pointed out, an OLED panel of this size runs to around $400. Add in the rest of the hardware and even the top-end $830 model wouldn't be making Apple much money. OLED also has some dirty secrets. It may be more colorful, but it uses more power than an LED backlit screen when all the diodes are lit up (white on black text is where OLED energy savings shine). It is also rather dim in comparison, and making an e-reader that you can't use outdoors would be a stupid move from Apple. The iPad is meant to be an easy-to-use appliance, not an all-purpose computer. A USB port would mean installing drivers for printers, scanners and anything else you might hook up. But there is a workaround: the dock connector. Apple has already announced a camera connection kit, a $30 pair of adapters which will let you either plug the camera in direct or plug in an SD card to pull off the photos. The subtle message here is that it's not a feature for the pros: the lack of a Compact Flash slot says "amateurs only". Expect a lot more of these kinds of accessories, most likely combined with software. How long can it be before, say, EyeTV makes an iPad-compatible TV tuner? Apple put a compass inside every iPad, so you'd think that there would be a GPS unit in there, too. The Wi-Fi-only models get nothing, just like the iPod Touch, but more surprising is that the 3G iPads come with AGPS. Assisted GPS can be one of two things, both of which which offload some work to internet servers and use cell-tower triangulation. The difference is that some AGPS units have real GPS too, and some don't. We'll know which the iPad has as soon as we get our hands on one. From the demonstrations at the Jobsnote, it appears that, like the iPhone, we can't run applications in the background. This will annoy many, but it will not matter at all to the target user, who will be using the iPad to browse and consume media. In fact, this user will benefit, as the lack of CPU-cycle-sucking background processes is likely a large part of that ten-hour battery life. If you are authoring content, like this post, then multiple browser windows, a text editor, a mail client and a photo editor all make sense. If you're reading an ebook, not so much. Nobody really thought the iPad would have a physical keyboard. That won't stop the whining, though. The difference, again, between the iPad and a MacBook is that one is a multi-purpose device and the other is a media player. The fact that Apple actually has made a keyboard for it is the biggest surprise (apart from the $500 price). In fact, this little $70 accessory will mean that, despite its simplified nature, the iPad is enough laptop for many people. Why bother with a $400 netbook when you can have this instead? No video camera, no stills camera, and no webcam. The first two will likely never make it into a future iPad, as we all have our iPhones or actual cameras with us, too. But the lack of a webcam is odd. I have this down as a straight cost saving measure, and it is the only thing that stops me buying an iPad for my parents, who I talk to on Skype. There seems to be no other reason not to have a webcam in the bezel other than price. We expect to see one in v2.0. iPhone users hate AT&T, but the only alternative is T-Mobile, whose coverage isn't as good. Until Verizon switches to the world-standard GSM SIM card, don't expect to see an Apple product on its network. You can forget all those Verizon iPhone rumors right now. The iPad screen is a relatively square, by today's standards, 4:3 ratio. This is not ideal for watching widescreen movies: you get a thick black bar top and bottom. But take another look at the hardware: the Apple on the back, and the position of the home button both tell us that the iPad is meant to be used in portrait mode, at least most of the time. And a 16:9 ratio in this orientation would look oddly tall and skinny, like an electronic Marilyn Manson. It's a compromise, and a good one. If you really do spend most of your time watching movies on the iPad, maybe you should think about buying, you know, a big TV. There will be video out, likely through the dock connector, as we were told in the presentation that you can hook the iPad up to a projector. But no HDMI out? How do you hook it up to your HD monitor? The short answer is that you don't. The maximum audience for an iPad screening is two. You want more? Use your laptop and hook that up, or your desktop machine. Remember, there are two kinds of people who will buy the iPad. One, nerds like you and me, who care about things like HDMI and also already own a computer that can do that. And two, people who are buying this instead of a computer. Those people will probably still have DVD collections, or even VCRs. They don't even know what HDMI is. I think I can guess what Apple thought about putting another expensive connector into the machine just to please a few geeks.